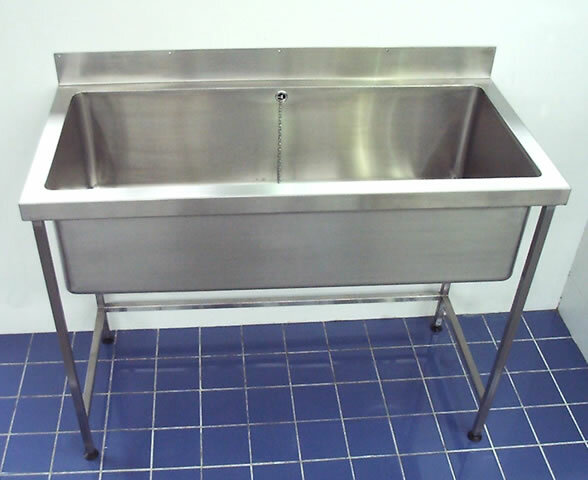 A heavy duty Belfast stainless steel sink unit manufactured in one piece with an integral stainless steel box section frame and supplied with a 38mm (1½" BSP) waste/overflow fitting and adjustable feet. 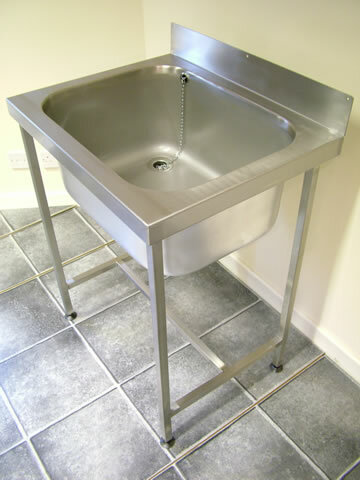 The unit without tap holes is 710mm x 560mm overall with a bowl size of 610mm x 460mm x 290mm, a version with 2 tap holes at 180mm centres is also available; this unit is 710mm x 610mm overall. Please telephone our sales department for prices. Please Telephone our Sales Department on 01793 692666 for prices on this item.